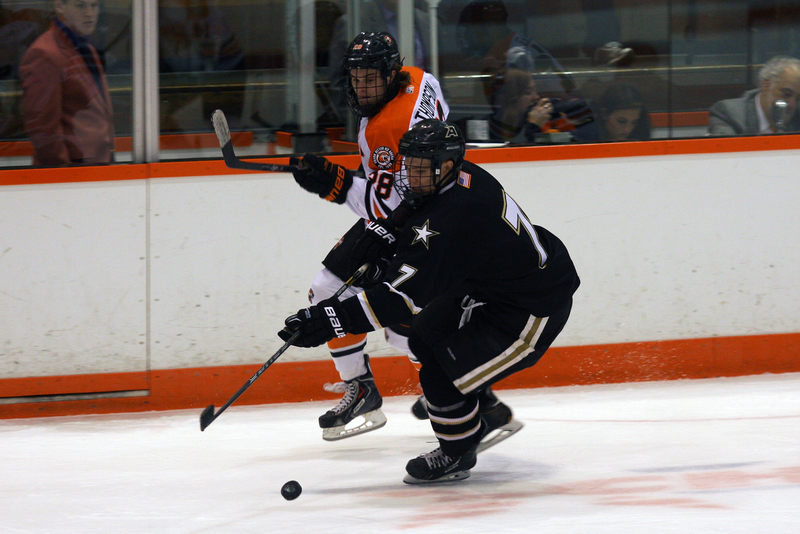 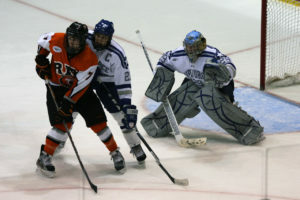 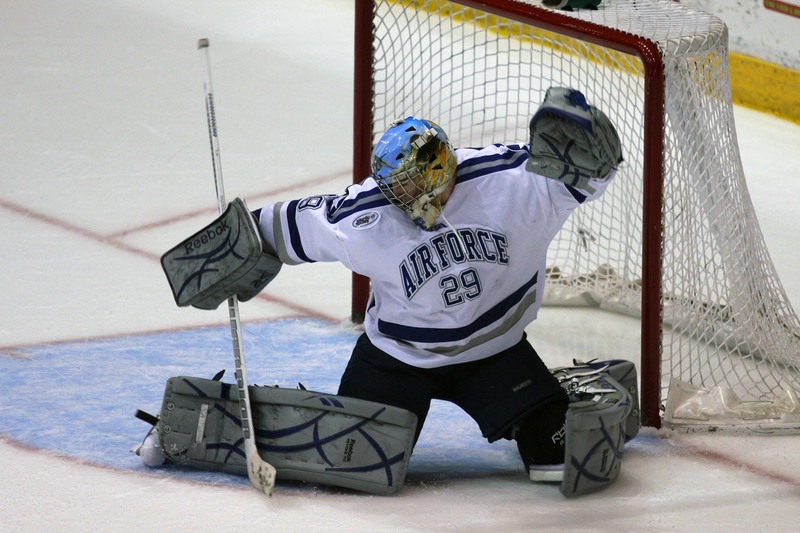 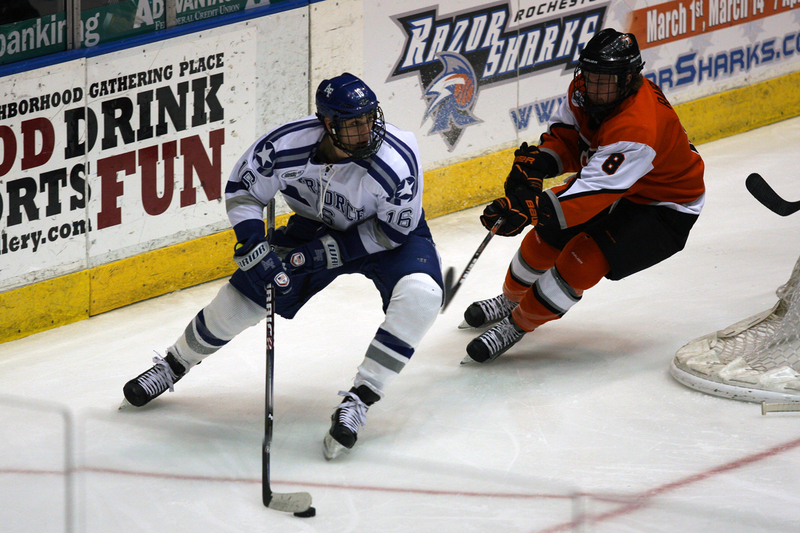 The RIT Tigers made it to the Atlantic Hockey Championships vs. the Air Force Falcons. 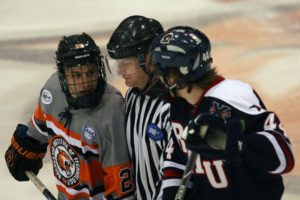 The two teams were battling for who would get the right to lose to Boston College. 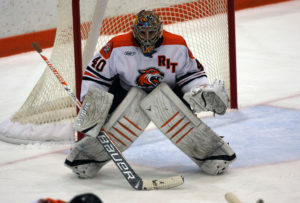 Unfortunately for RIT, the Falcons played much better hockey. 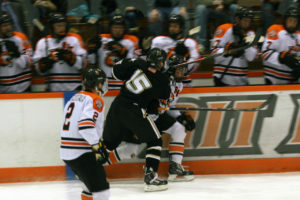 Unfortunately for the Flacons, they lost to Boston College Eagles in the next round of Division 1 Hockey. 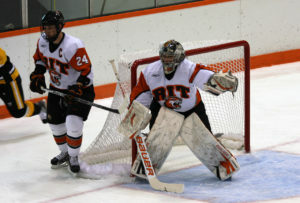 I really wanted to see the RIT Women’s team play their championship game, but it was at the same time as the men’s game downtown. 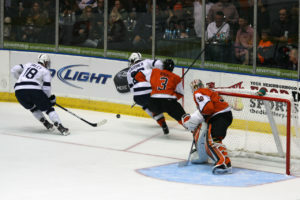 I grabbed my camera and headed downtown, only to see the Tigers get shutout 4-0. 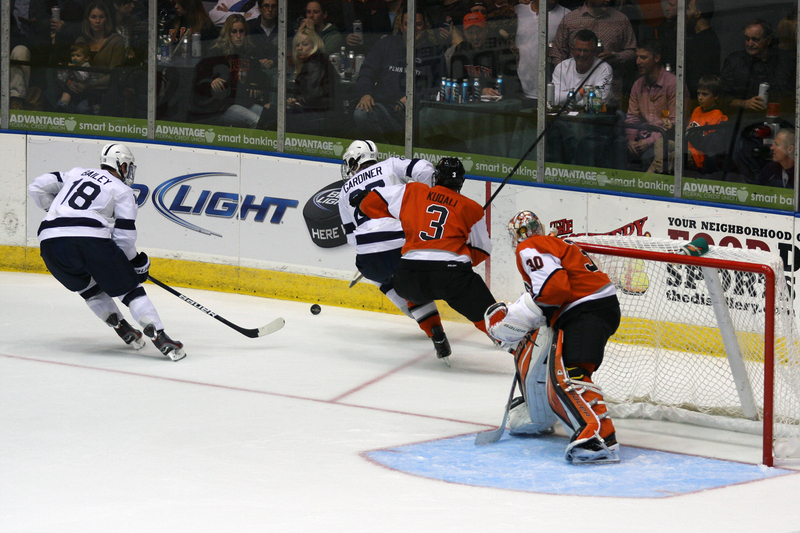 It was a good game though, and to my surprise the lighting at the Blue Cross Arena was really good for photographs. 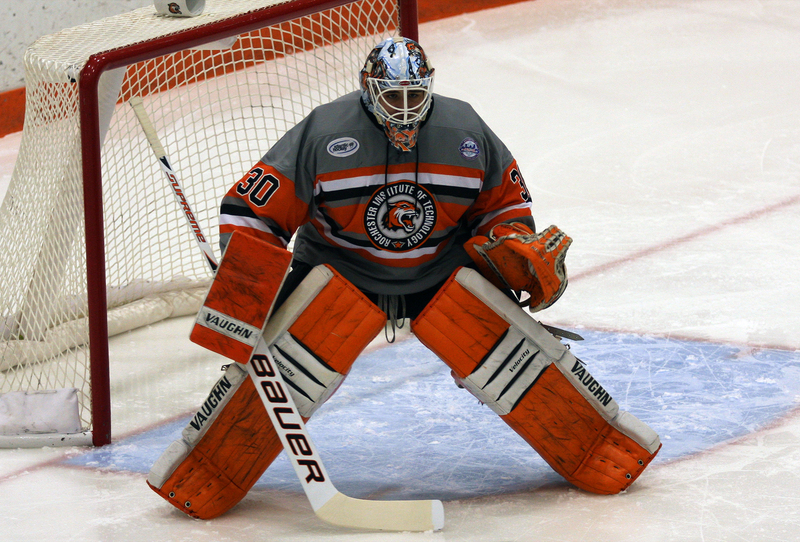 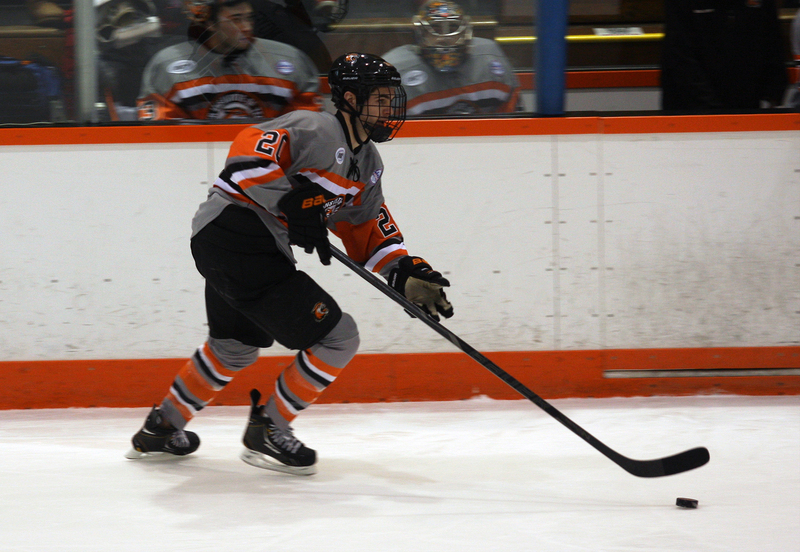 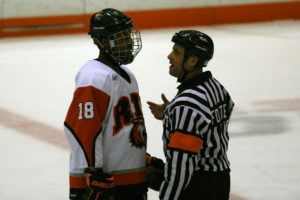 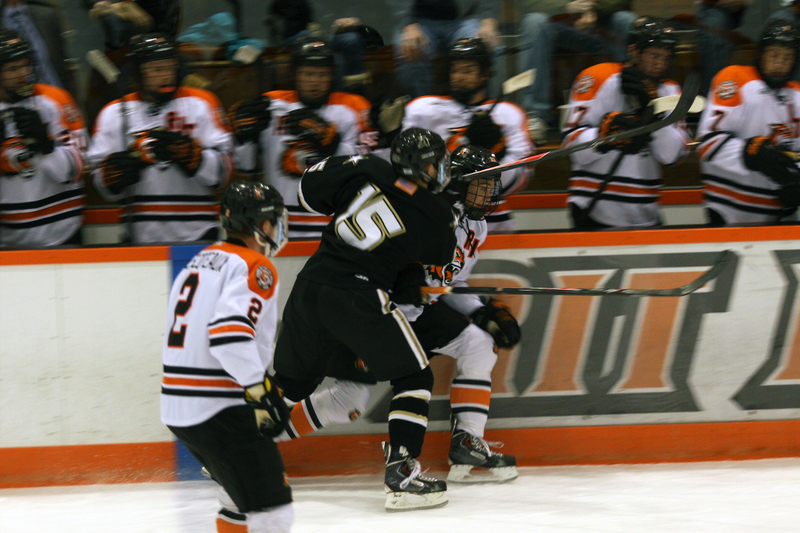 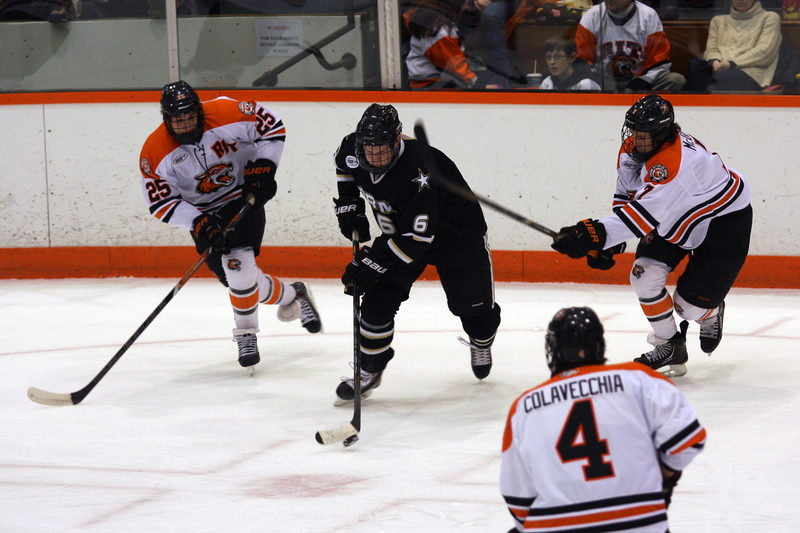 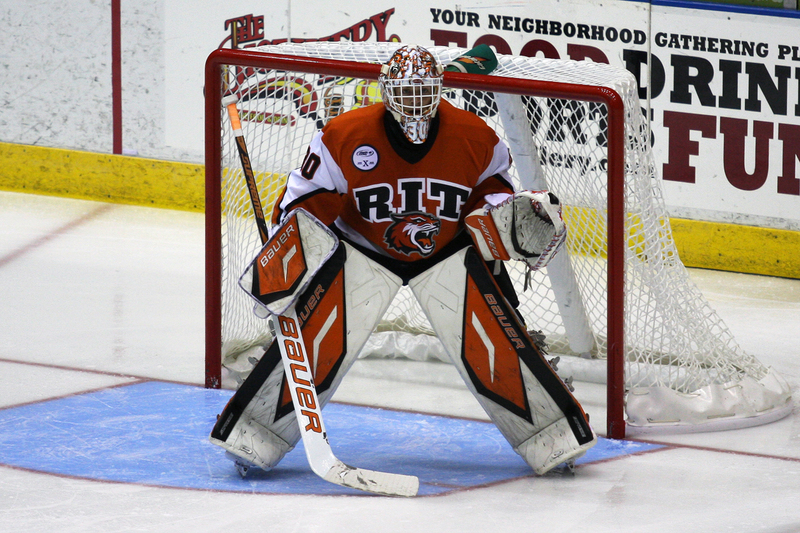 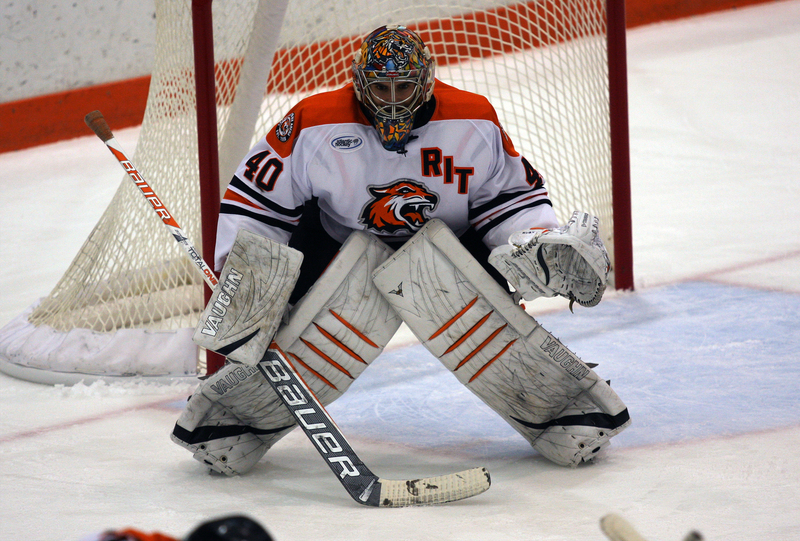 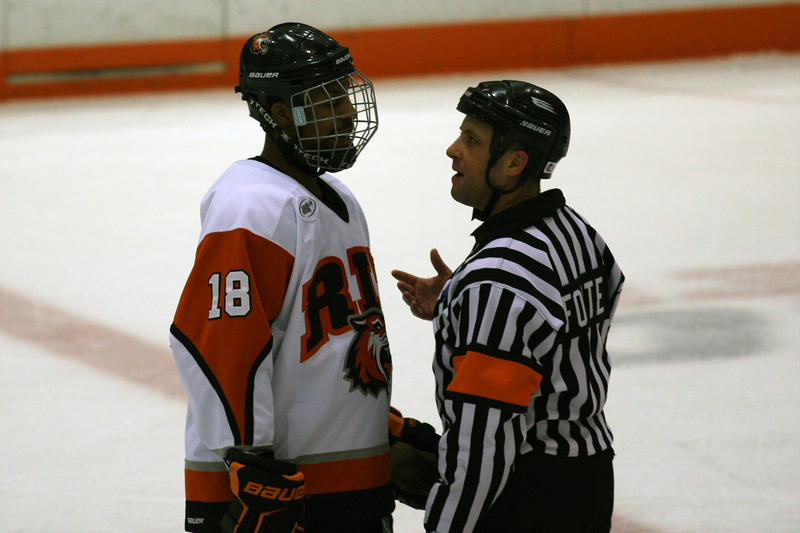 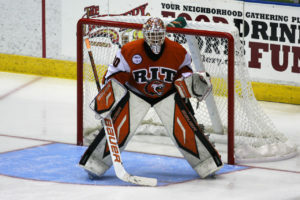 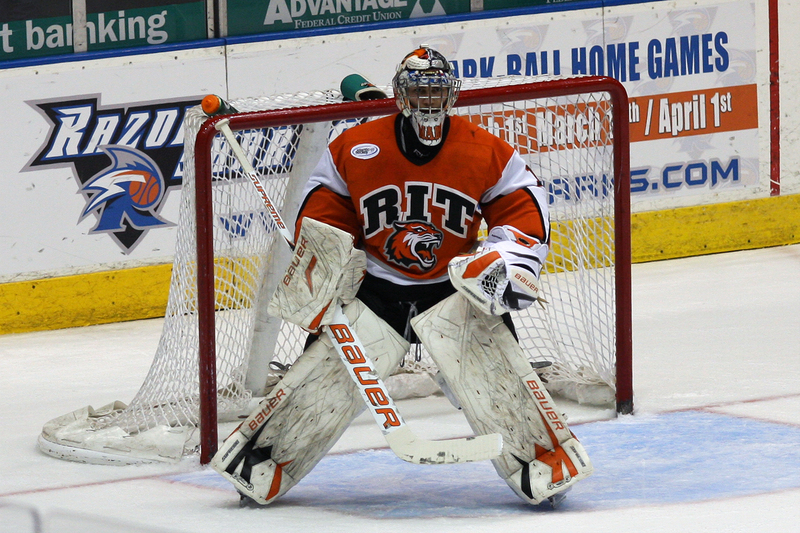 Here’s a few, more are in my RIT Hockey flickr gallery. 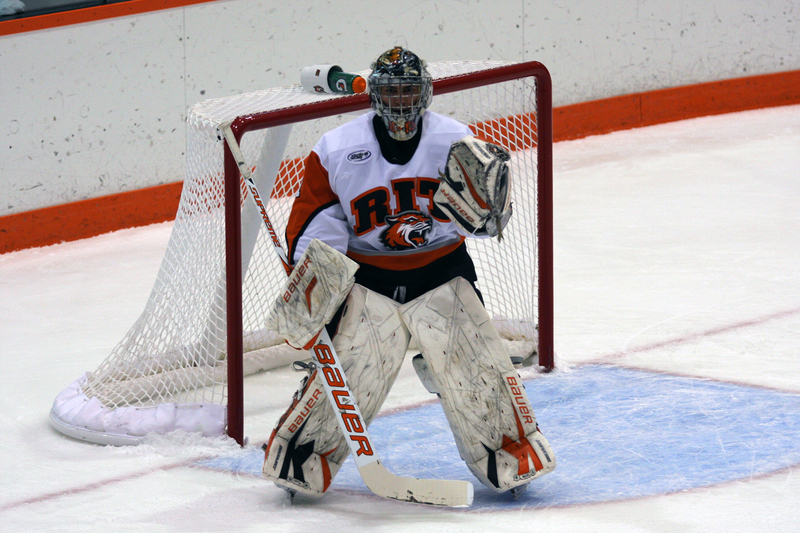 This fall/winter we went to several RIT Hockey games. 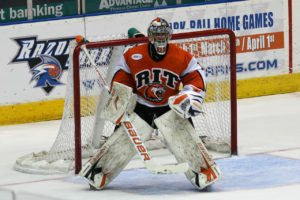 Fortunately for us, RIT won the majority of them. 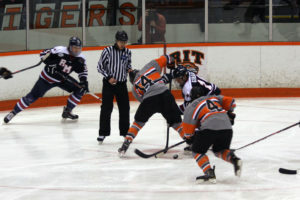 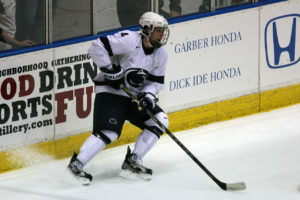 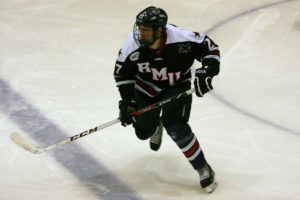 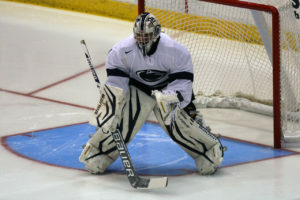 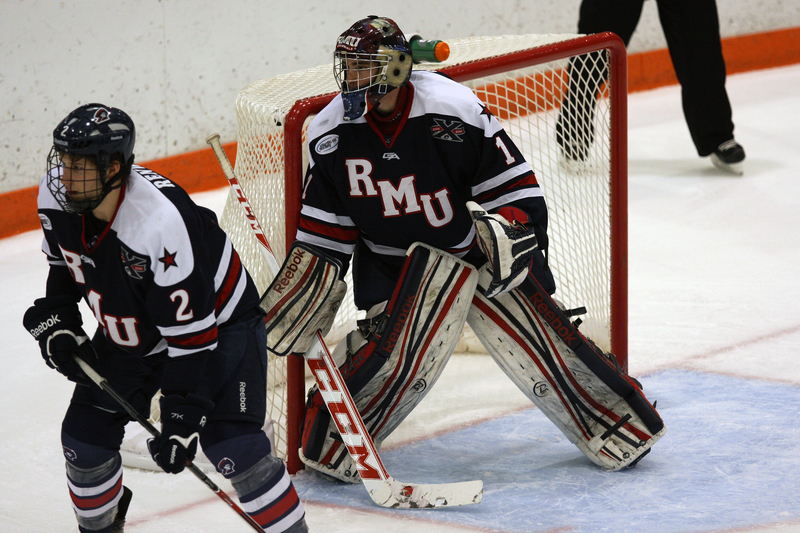 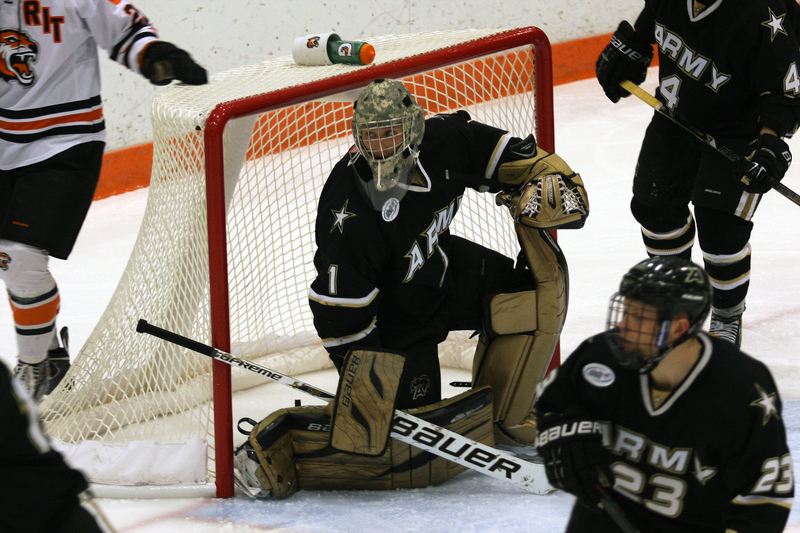 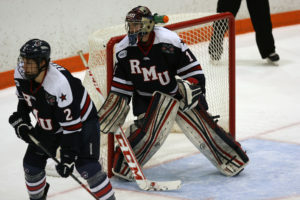 At one of the games, against AIC (American International), I brought our camera to take a few hockey pictures. As I’ve mentioned before, I think hockey is a difficult sport to photograph, because you kind of need to anticipate the action otherwise you get photos of guys skating around looking at where the action is. 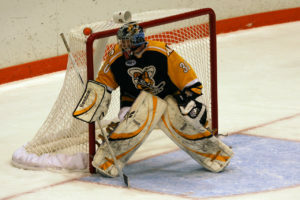 I took photos at this particular game because I liked the AIC Yellow Jackets team logo. Here’s a few shots, there are more in my flickr gallery.